«A breath-taking novel that cannot be read on the beach». This is the definition Umberto Eco gave to An Incomplete Manuscript, the first book by Kamal Abdulla published in Italy where it had a significant success of critics becoming “the novel of Summer 2014” selected for publication on Sundays by Il Sole 24 Ore. Finally a new novel by the Caucasian writer is ready, A Valley of magicians: a post-modern story which mingles colors of a magic fairy-tale and the wisdom of a philosophical parabola. 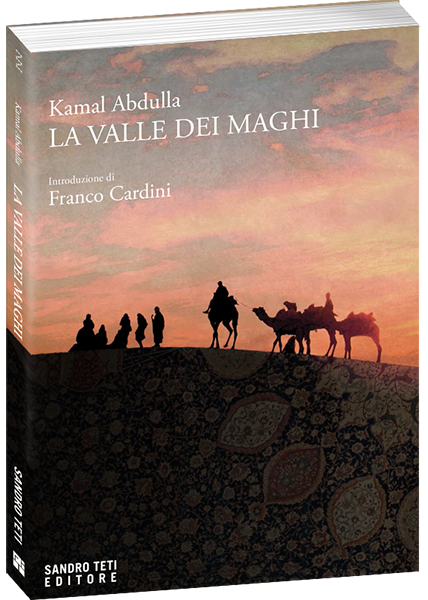 BOOK: The enthralling novel La valle dei maghi contains all the charm of the East with its fairy-tales, bringing readers to the heart of the world whose inhabitants can dominate time and space. Like in Il manoscritto incompleto, the reader starts his way in different directions of the narration characterized by the same lyrical, refined and elaborate style resembling the fine art of an Islamic flower with its ornamental decorations. Kamal Abdulla writes a work in which beauty and poetry of a dream are contrasted by dark passions like vengeance, insult and ferocity. Nevertheless, the mankind can be saved: a light of hope illuminates the people’s consciousness. The author wishes children learn from their parents’ mistakes. La valle dei maghi builds up a symbolic bridge between the cultures. The West and the Islam have much more in common than they think to. АUTHOR: Kamal Abdulla is one of the most significant representatives of the Azerbaijani intellectual milieu. He is the author of numerous novels, stories and essays translated into many languages. An eminent Turkish and Slavic analyst, writer and playwright, for a long period Kamal Abdulla has been President of the Baku University for Slavonic Studies. Later on he has been appointed as State counselor on international relationships and multiculturalism. FOREWORD: Franco Cardini, an international level expert on the Middle Ages and history of the relationships between the Muslim, Hebrew and Christian faith representatives. Professor of the University of Florence. Author of more than thirty books translated into principal European languages, journalist and publicist working for il Giornale and Avvenire newspapers. He created the format of various radio and television programs linked to historical subjects. He presents these programs himself.